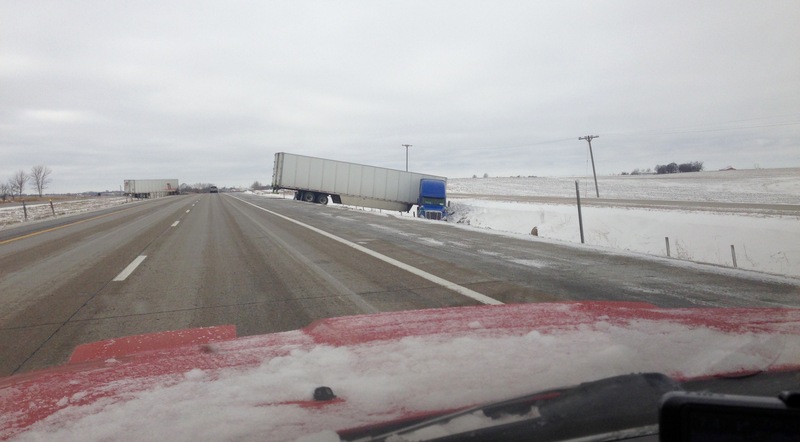 This entry was posted on Tuesday, February 9th, 2016 at 12:29 PM	and tagged with driving, ice, Iowa, photo and posted in travel. You can follow any responses to this entry through the RSS 2.0 feed. I guess these truck drivers will never get a job running the Dalton in winter!